MAVIN First Lady, Tiwa Savage and her husband, Tunji Balogun aka Teebillz welcomed a baby boy at St. Mary’s hospital in London on Wednesday. 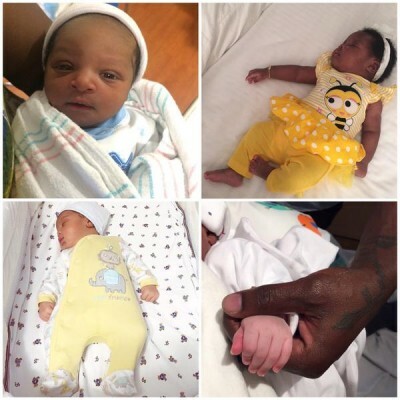 Dr Sid posted images of Mavins babies on his handle, including Tiwa’s baby. On 23 November 2013, Savage and Tunji “Tee Billz” Balogun held their traditional marriage at the Ark in Lekki. Nigerian businessmen and celebrities who attended the wedding include Femi Otedola, Aliko Dangote, Don Jazzy, Banky W., Rita Dominic, Davido, Lola Okoye (wife of Peter Okoye), Toolz, Eniola Badmus, Omawumi, Iyanya, King Sunny Ade, Agbani Darego, Dr SID, Toke Makinwa, and Karen Igho, among others. On 26 April 2014, the couple held their white wedding at the Armani Hotel in Dubai. On 1 January 2015, Tiwa Savage and her husband, Tunji “Tee Billz” Balogun, announced that they are expecting their first child together. Nigeria: Buhari’s undemocratic rule: cui bono?